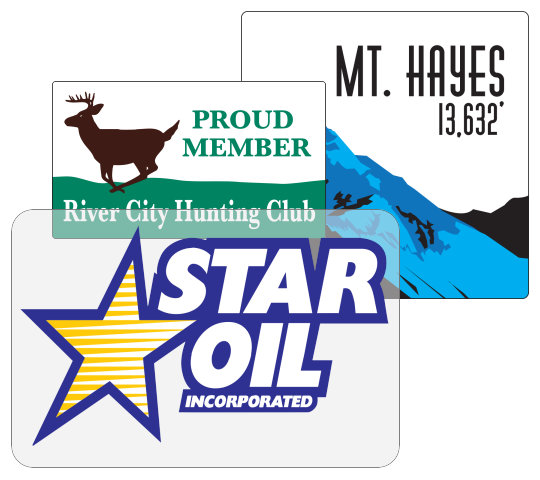 BBB Member since 2004 with a proven record of complaint free customer satisfaction on items like Custom Round Cornered Static Clings and Spot Color Round Cornered Window Clings. Click on the BBB logo above to check our record or leave a customer review. At deSIGNerySigns.com we have more than 24 years experience in designs for our Spot Color Round Cornered Window Clings. Call us today and let our design specialists help create your next project to promote your product or business. Free Shipping | Free layout | A+ BBB rating | 24 years in the business | Call Today for a free quote on Spot Color Round Cornered Window Clings.